Daymare:1998 is using new age technology to bring us the face of fear. 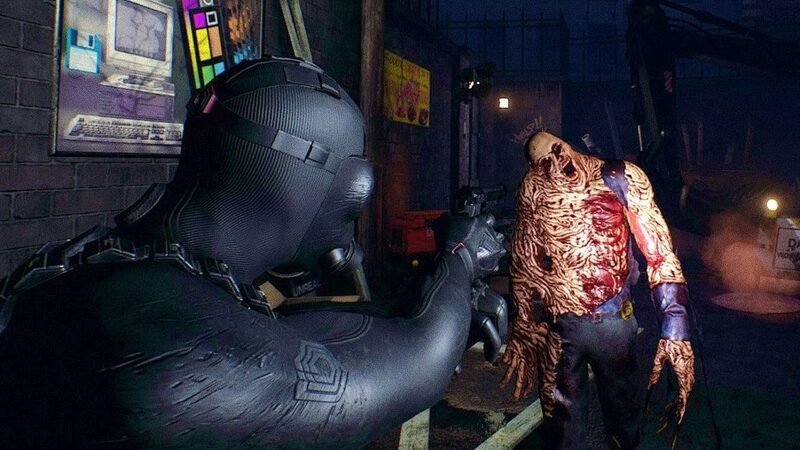 Daymare: 1998, under development at Invader Studios might have started from humble beginnings as a passion project fan remake of Resident Evil II, but the new survival horror IP isn’t going to stick rigidly to the limitations of its inspiration. Invader has shown off on their Youtube channel the advanced facial motion capture they’re using to bring the terror to life. Hoping to bring the terror of the 90’s horror movies and games, with a modern sensibility to ground it all, modern cinema techniques are set to be leveraged by Daymare to achieve its vision. While the Unreal Engine 4 is credited with speeding along development thanks to the deep, easy to leverage toolset, the iClone Faceware plug-in is allowing the team to dive even deeper to animating their custom characters. “The recent addition of the iClone Faceware facial mobcap plug-in gave us the chance to significantly improve the quality of our custom characters facial animations” said Invader PR man Michele Glannone. The video goes more in depth than we have room for today, but you can find it below if you want the deep dive. Will you be checking out Daymare:1998 when it launches in 2018? Let us know in the comments.